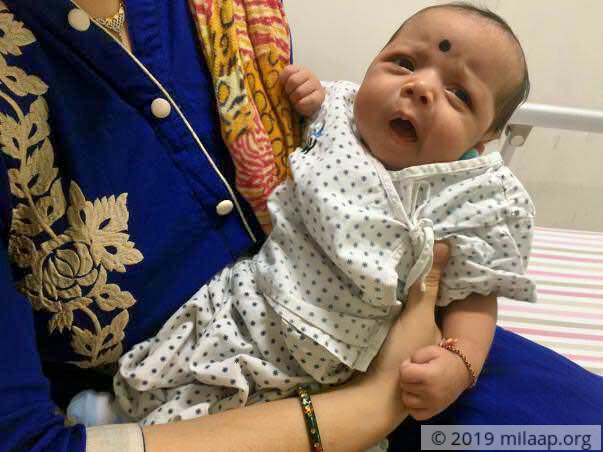 Mitali’s baby girl has a serious disease that makes her extremely susceptible to life-threatening bacterial infections. Her body can’t protect her and even the smallest infections can be fatal. 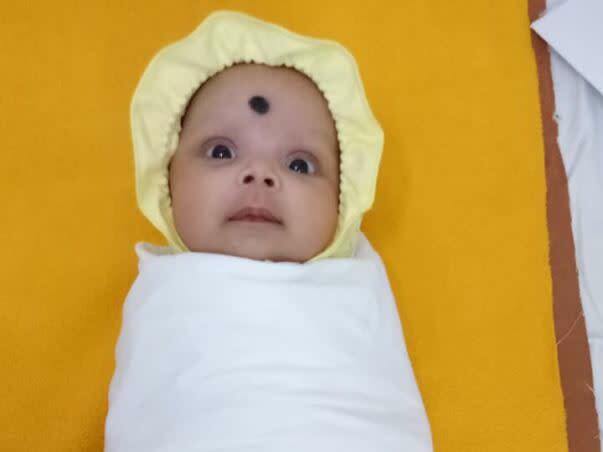 She was only 5 days old when she was admitted to the hospital and the trauma has been never-ending since then. Mitali and Sachin are desperate to save their baby. She needs an urgent bone marrow transplant to live, but they're is struggling to find a way save their only child. 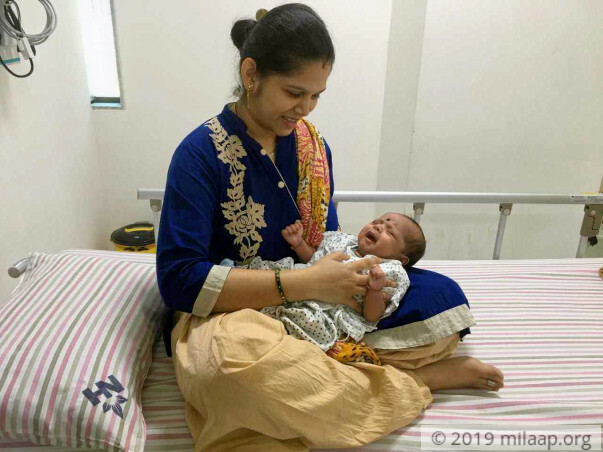 Mitali had a normal pregnancy and delivery. 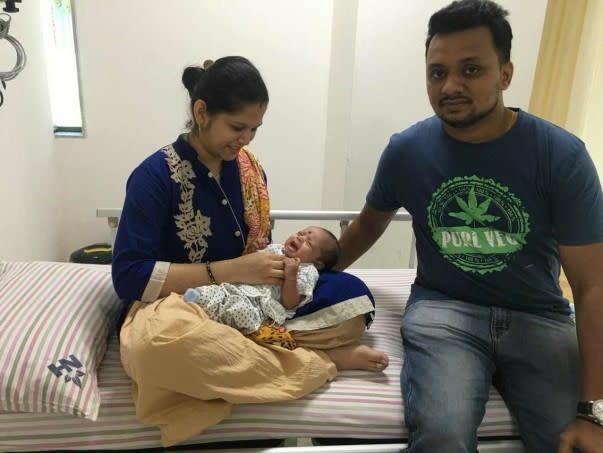 She and her husband Sachin were thrilled to take their baby girl home and had even planned a family get-together to celebrate her birth. Little did they imagine that only a few days later, they would be given the worst news of their lives. 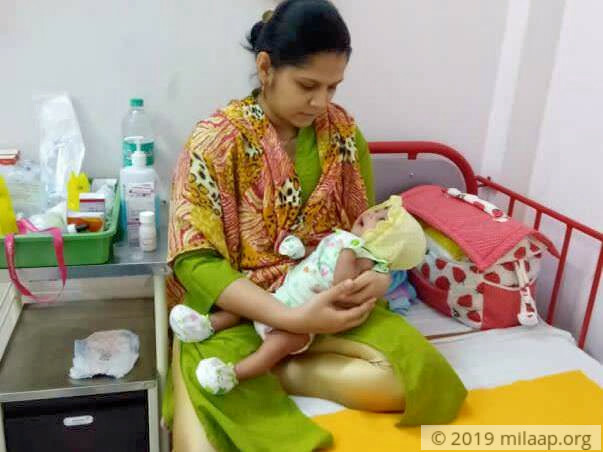 Mitali’s baby has a rare, life-threatening disorder called Leukocyte Adhesion Deficiency due to which she has bacterial infections that can be fatal since her body isn’t strong enough to fight it. Mitali and Sachin’s dreams of a healthy future for their baby have come crashing down. In a matter of few days, their entire life changed. They had never thought that the baby that was once laughing in their arms would be so sick that they couldn’t even hold her again. They’re willing to do anything to save her now. 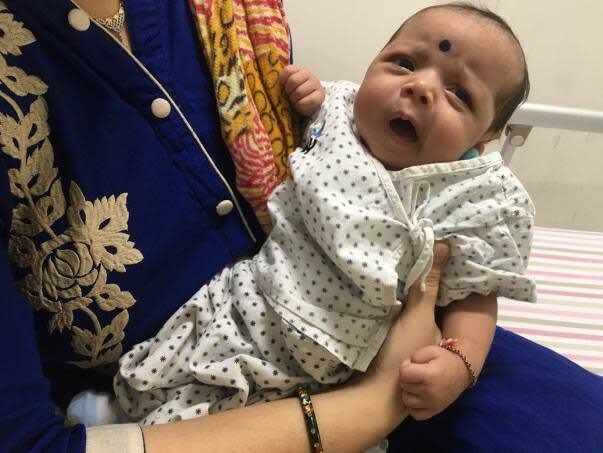 Mitali and Sachin have only been shuttling between home and hospital the past month. When their baby is not in the hospital, she’s at home, isolated from everyone else. Mitali’s baby doesn’t have much human contact throughout the day because of her disease. She’s alone in her room, oblivious of the danger ahead of her. Even her grandparents haven’t been able to hold her yet. Mitali and Sachin are scared that they might lose her to a deadly disease at any moment. Their baby’s only experience with the world has been the pain of her disease. She falls sick every second day and is taken to the hospital immediately. 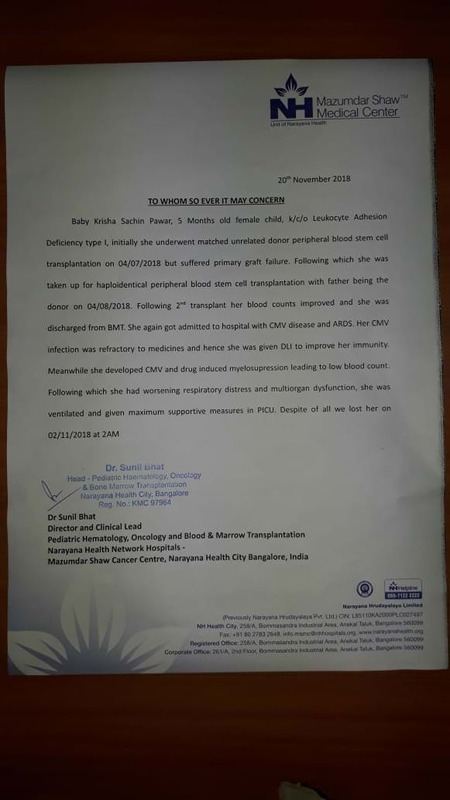 Mitali’s baby needs an urgent bone marrow transplant to survive. The doctors call her a fighter as she has bravely endured everything so far and survived. But all her progress will be for nothing if she doesn’t get the transplant soon. 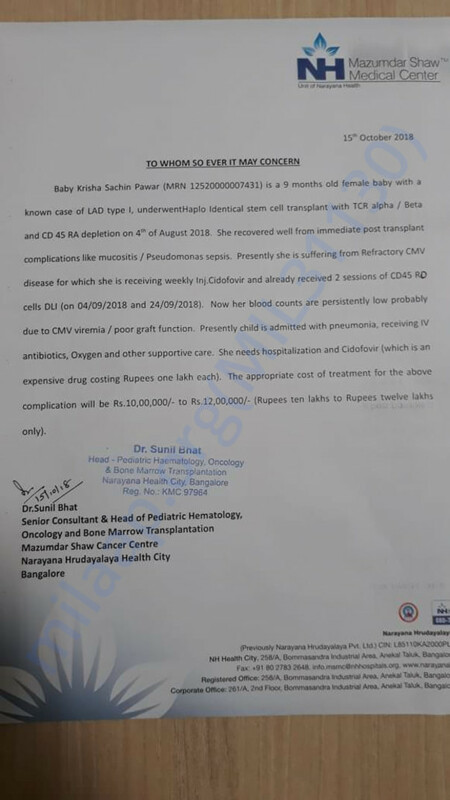 “She can’t even get a vaccination before a bone marrow transplant. It’s her only chance to make it. This has been the most difficult month of our lives. We haven’t even named our baby yet. Our only focus has been saving her. We’re emotionally and financially exhausted now." 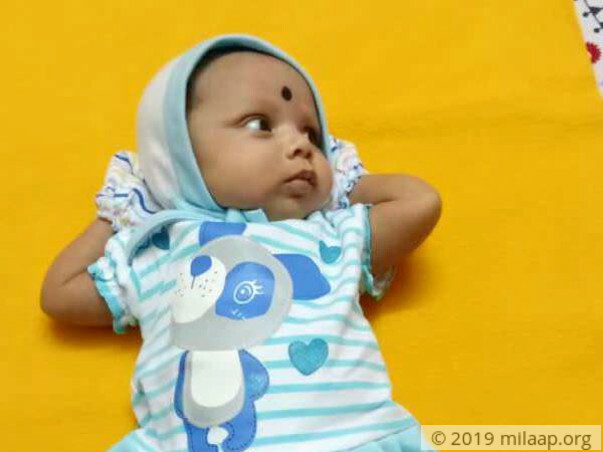 Mitali’s baby will not make it without a bone marrow transplant. The parents are a 50% match to be donors and the baby can be saved with timely treatment. 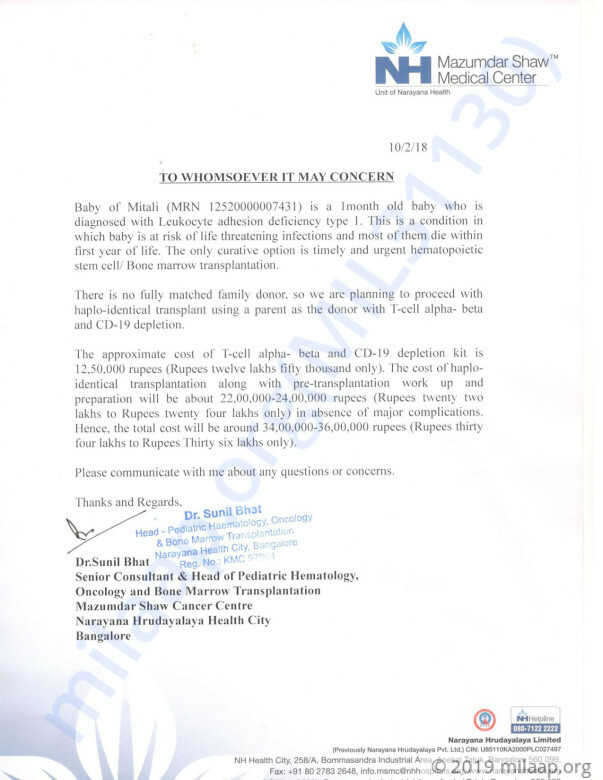 However, her parents can’t afford Rs 36 lakhs needed for the transplant in time. Sachin works as an accountant in a small hotel in Mumbai and his earnings aren’t enough to cover her medical bills. 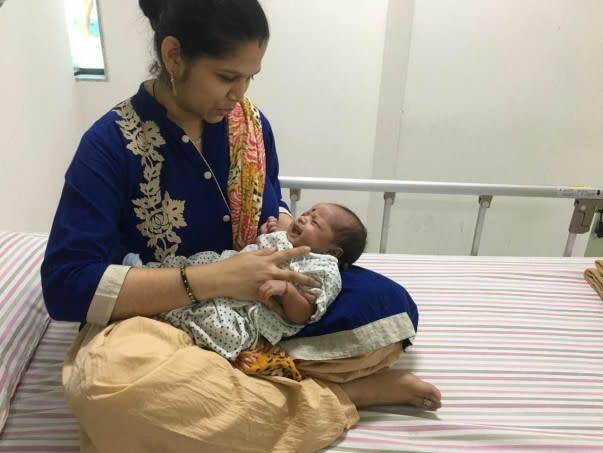 Mitali and Sachin need your help to save their baby. Your support can save Mitali’s baby’s life.